Pina Marziliano obtained a B.Sc. Applied Mathematics in 1994 and the M.Sc. Computer Science (Operations Research) in 1997, both, from the Université de Montréal, Canada. In 2001 she completed her Ph.D degree in Communication Systems from the Swiss Federal Institute of Technology in Lausanne (EPFL), Switzerland. She then joined a start-up company, Genimedia SA in Lausanne, Switzerland and developed perceptual quality metrics for multimedia applications. In 2003, she became an Assistant Professor in the School of Electrical and Electronic Engineering at the Nanyang Technological University in Singapore, and was tenured and promoted to Associate Professor in August 2012. In October 2012, she co-founded PABensen Pte. Ltd. Where Art and Science Design (www.pabensen.com) . In 2007, she received the 2006 Best Paper Award from the IEEE Signal Processing Society Awards Board for the paper “Sampling Signals with Finite Rate of Innovation” co-authored with Prof. M. Vetterli and Dr. T. Blu which appeared in IEEE Trans. Signal Processing, Vol. 50, June 2002. 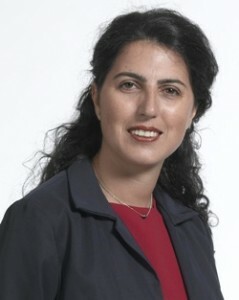 A patent for her work related to sampling was granted in May 2006 and then acquired by Qualcomm Inc. USA in December 2007. She has been an Associate Editor for IEEE Signal Processing Letters and IEEE Transactions on Signal Processing since January 2010 and February 2013, respectively. She is also a Member of the IEEE Signal Processing Society Signal Processing Theory and Methods Technical Committee since January 2012 and has served on the Technical Program Committee of numerous international conferences. She currently teaches undergraduate and graduate courses in Digital Signal Processing and her research interests include sampling theory and applications in communications and biomedical engineering, information security and perceptual quality metrics for multimedia. 1. T. Blu, P-L. Dragotti, M. Vetterli, P. Marziliano, L. Coulot. (2008). Sparse Sampling of Signal Innovations: Theory, Algorithms and Performance Bounds. IEEE Signal Processing Magazine, 25(2), 31. 2. K. Poh, P. Marziliano. (2007). Analysis of Neonatal EEG Signals using Stockwell Transform. IEEE Engineering in Medicine and Biology Society (pp. 594-597). 3. Z. Jing, A. T. S. Ho, G. Qiu, P. Marziliano. (2007). Robust Video Watermarking of H.264/AVC. IEEE Transactions on Circuits and Systems Part II-Express Briefs, 54, 205-209. 4. P. Marziliano, S. Winkler, F. Dufaux, T. Ebrahimi. (2004). Perceptual Blur and Ringing Metrics: Application to JPEG2000. Signal Processing-Image Communication, 19(2), 163-172. 5. M. Vetterli, P. Marziliano, T. Blu. (2002). Sampling Signals with Finite Rate of Innovation. IEEE Transactions on Signal Processing, 50(6), 1417-1428.